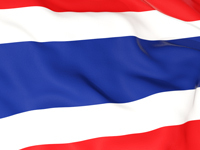 ESL Teachers needed in Thailand (Graduates are welcome to apply) - Start in May 2019! I am looking for 2 Homeroom Teachers (Year 1 and Year 3) willing to relocate in Thailand close to the city of Khon Kaen. My client is a Bilingual School that follows the British Curriculum from Kindergarten up to Primary and Secondary. Thailand is one of the most beautiful countries in South East Asia; it is a place consists of culture, tradition and a little bit of modern. On the street in Thailand, you will find many motorbikes, cars, taxis, buses, and tuk-tuks. Thailand is also famous for its food; a huge variety of spicy and not so spicy food which is so healthy as well. Papaya Salad, BBQ Chicken and sticky rice is the famous food of Khon Kaen Province. The weather is tropical with temperatures ranging from 20 degrees Celsius in the winter and late 30 degree Celsius in the height of summer. Thailand has tropical rain from May until August; basically, it is warm to hot all year around.